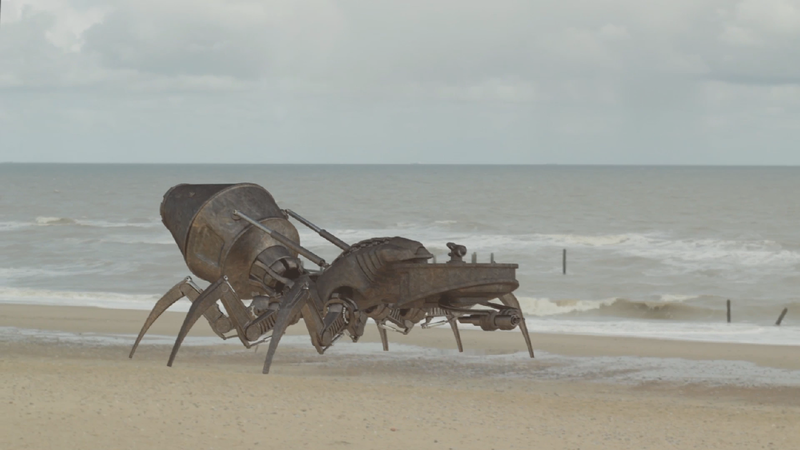 Giant Robot Invades Norfolk Beach! 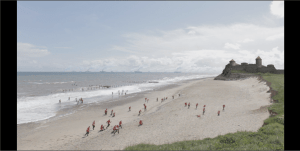 Arms Race Escalation – A series of short films by It’s a Trap! Following the success of their short film Arms Race, local film-makers It’s a Trap! unveil their latest offering; a short, follow-up series Arms Race Escalation. Their first film Arms Race, was made on a shoestring by a group of friends in their spare time – little did they realise how much its reputation would take off. First the film was snapped up by the Adelaide Film Festival in Australia in March 2011, who showed it as part of their Steampunk Spectacular – if you are not familiar with steampunk, imagine sci-fi, Victorian-style. In April 2011 it was showcased at the Sci-Fi London Film Festival followed by a screening at the Balticon Film Festival in Baltimore, USA. Then in April 2012, American cult band Abney Park requested the use of clips from the film in their latest Music Video – Steampunk Revolution. The team have just received a further request to screen the film at Phoenix Comicon, Arizona, USA, in May next year. Over 80,000 YouTube hits later, the team have got together again to do something altogether more ambitious. Continuing the theme of the first short they have put together a mini-series consisting of six, five-minute episodes which include a host of special effects, explosions and of course, giant robots! Without any funding, every one of the 45 + people involved, generously gave their time and expertise for free with the meagre budget for necessary spending coming out of the director, Nigel Clegg’s own pocket. Filming was a lot of fun, but a lot more hard work, with one weekend on a freezing cold beach, another spent building the rudiments of the cockpit of a zeppelin in the script-writer’s garage and another running around in the pouring rain in private woodland in North Norfolk. This has been followed by months of work, editing and creating special effects. Now the team are looking forward to seeing the fruits of their labour, with the preview screening on 10 November followed by release on Youtube. This entry was posted in Promotional, Web series. I’m not normally one for reblogging on WordPress but I’m so excited about this that I just had to. We’re a week away from the release of the new Steam Punk series “Arms Race: Escalation” from my friends at It’s A Trap!